We track real life prices within every service in the travel industry. When traveling to developing countries you may find that transportation, services and rental prices differ greatly and you have to use a lot of time to bargain in order to achieve a fair price. It's pretty annoying being deceived when taking the first cab from the airport to the hotel. We want to make every transaction 100% transparent by showing the minimum, average, maximum and last paid price for a service or a product in all developing countries in the world. 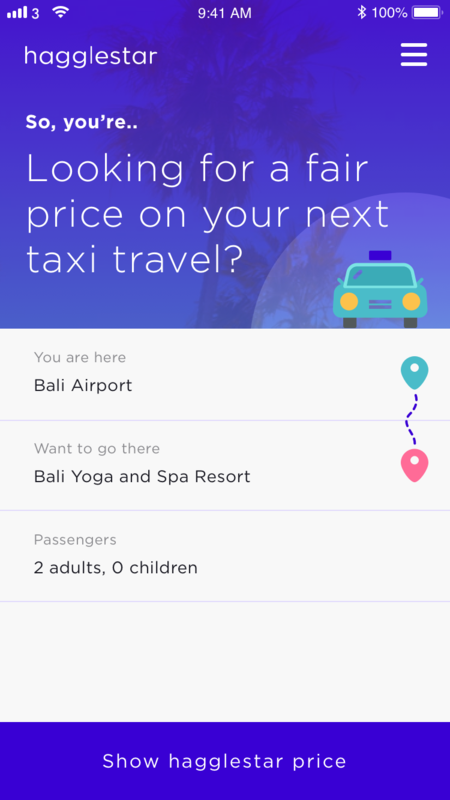 HaggleStar is a mobile first site that collects thousand of prices from real travellers around the world, to make sure you always pays the best possible price for a travel service. Let me know when the beta is out! You'll be the first to know when the BETA is live. This is the one who makes us look good - literally. Lea has worked as an Art Director in several startups and different projects with great success. She is the visual heart and soul of HaggleStar. This is mr. AllStar. Michael is the guy with the vision and ideas. He puts the team together and makes sure everyone keeps their eyes on the ball in order to keep growing this startup. Can I book services directly through HaggleStar? Why is your domain weird? What contries can I check prices in? How can I be sure the prices are real?